We understand that each business is unique and that is why at DSCallards we have the right SAP BusinessObjects or Crystal Solutions training solution for you. SAP Gold Partner and Partner Centre of Expertise (PCoE) accredited, DSCallards arms each delegate with 30 days FREE support post-course to get you up and running, a training manual and certificate of completion. 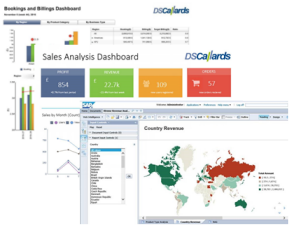 Why DSCallards for Your SAP® Crystal Solutions and SAP®BusinessObjects Training Needs? For over fifteen years DSCallards, SAP Gold Partner, has been delivering training courses in SAP Crystal Reports, SAP BusinessObjects, SAP Data Services and SAP Crystal Dashboard Design to organisations throughout the UK and Europe. We empower our customers to develop a deep understanding, insight and new awareness of their SAP Business Intelligence, Reporting or Visualisation system and bring their business data to life. Each of our highly experienced trainers also work as Business Intelligence consultants in the field, providing them with real-world experience in solving the information challenges that organisations face every day. Whatever your training need, DSCallards helps you to get the most out of your software investment, empowering you to work smarter to meet your reporting and visualisation needs - now and into the future. Training can be delivered in workshops or classroom fashion. One-to-one mentoring is also a speciality. All of our trainers have real-world experience to draw upon which adds to our delivery. Please fill in your details and you will be directed to the PDF.